This is an original production cel featuring Goliath II's mother from the 1960 Walt Disney short, Goliath II. The cel was originally sold through the Disneyland Art Corner store and exhibits the typical qualities of Art Corner cels. The cel is trimmed to a size of 10" x 12" and features a great hand-painted image of mother that measures about 7.5" x 10.25". The cel is in its original Art Corner set up, stapled to a copy background and inside of a paper mat that also has the gold foil Art Corner sticker on the back side of the matting. 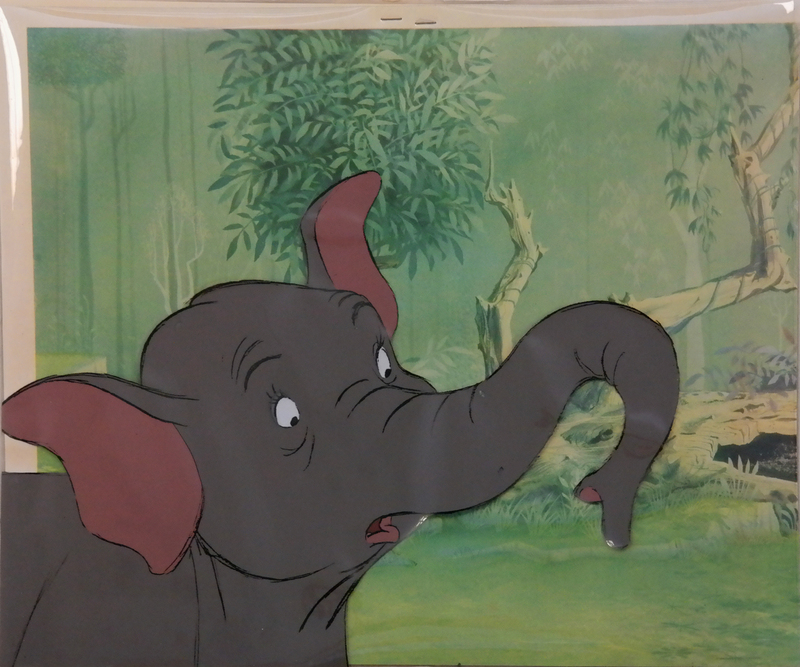 The cel has some minimal paint damage in her trunk and head and is stuck to the copy background. 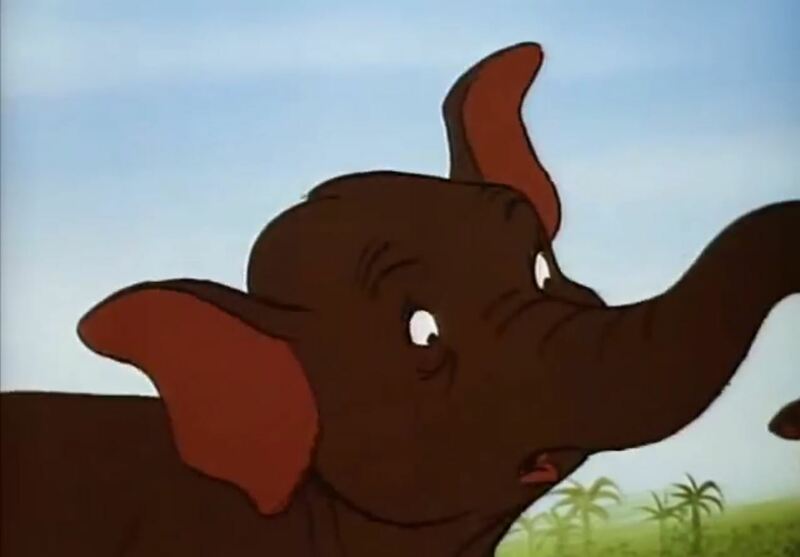 The additional picture is a screen grab from the scene in the film that this cel was used to create, not included.